'Smart. Connected. Sustainable.' 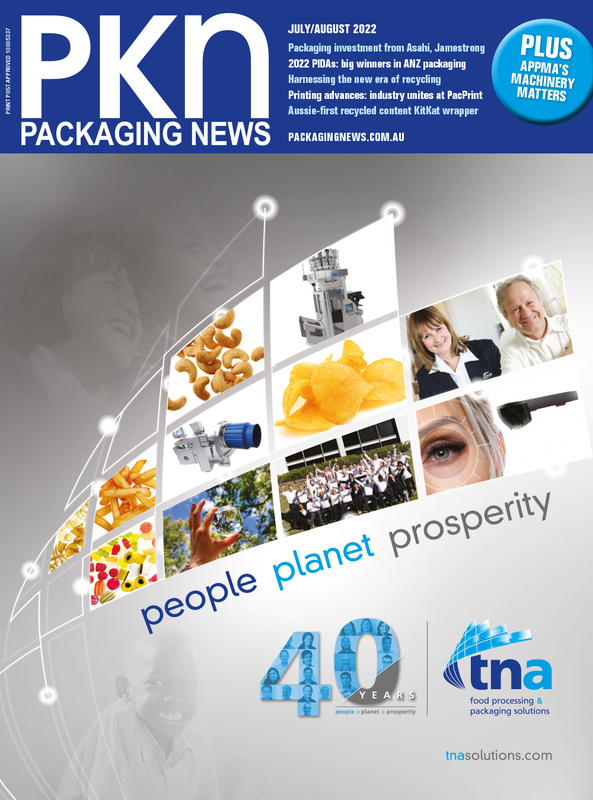 is the theme of a new business and industry conference that will take place during Packaging and Processing Week 2019, alongside the AUSPACK exhibition, in Melbourne in March next year. The conference will focus on industry's key challenges and opportunities around sustainability, innovations in technology and design, systems thinking and factories of the future. And it has secured some talented and highly respected keynote speakers, each of whom are leaders in their respective fields. These include packaging industry pioneer and innovator Dr Michael Okoroafor, TV personality and War on Waste champion Craig Reucassel, economist Stephen Koukolis, and diversity expert Dr Katie Spearritt (see below for more details). This great new education and information sharing opportunity for industry is another fantastic initiative in line with industry demand. The new conference is for decision makers, owners and key staff from the packaging and processing, food and beverage, pharmaceutical and cosmetics industries, along with associated industries such as design and print, marketing and advertising industry associations. Commenting on the choice of theme, Dingley says: “'Smart' covers IIOT, Industry 4.0, automation, robotics and the like, while ‘Connected’ refers to equipment and work areas 'talking' to each other to also support IIoT and Industry 4.0 initiatives. ‘Sustainable’ refers to business sustainability as a result of the impact of these new technologies in both being able to reduce waste and increased profit for both suppliers and end users in our industry”. Sub themes include innovation and technology, sustainable solutions, smart packaging, e-commerce, future consumer, export and distribution, blockchain, design trends and strength through diversity. Opening keynote, day one: Dr Michael Okoroafor, Vice President Global Sustainability & Packaging at McCormick USA. Responsible for the strategic direction, policies, development and execution of agricultural, ingredient, product and packaging sustainability, plus packaging innovation capabilities globally, Dr Okoroafor was inducted into the Packaging and Processing Hall of Fame at PACK EXPO International. An innovation leader, he has over 40 patents to his name. Opening keynote, day two: economist Stephen Koukoulas. One of Australia’s leading economic thinkers, Koukoulas is past senior economic advisor to the Prime Minister, chief economist of Citibank and head of global economic research in London for TD. His presentation will break down complex economic analysis into easily understandable terms. Closing keynote, day two: Dr Katie Spearritt, CEO of Diversity Partners, will speak about “Innovation and Strength through Diversity”. Diversity Partners is a specialist consultancy that helps companies achieve diversity progress and create more inclusive and high-performing work environments, including a range of firms in Australia’s manufacturing sector. Dr Spearritt's interactive session aims to have participants talking about diversity and inclusion in ways they might not have previously considered. Conference MC: Craig Reucassel is a speaker, writer and comedian best known for his work on ABC’s TV program War on Waste and with The Chaser, which he co-founded.